Chug and services music with Cantor David Perper and Rabbi Ilana Schwartzman. Breaking out the fiddle!! Great, free music hangs with the talented lounge lizards of the not-so-sleepy Hudson River hamlet of Nyack, NY. Never know who might show? Always interesting! 8pm – ’til. Google for deats. To the memory of Ann Ruckert. Come join us to eat, drink, sing in the season in her honor! So excited to have hosted Charles Dennis” re-imaging of this PS 122 cool 80’s East Village variety show! Garner denizens were blown away by sensational cutting edge dance and performance art wizardry and creative mayhem. Videos to come! Musical accompaniment for Rabbi Ilana Schwartzman, Beth Haverim Shir Shalom’s new dynamic rabbi, during Friday night services, with Jane Young. FRANKIE DEE! “The Prince of Rockland”. Soulful, rich jazz, R&B, pop vocals accompanied by hipster keyboardist/composer, ALBERT AHLF. Live, off-script and swinging, singing 50 years of standards with abandon, wisdom with a touch of local history thrown in! 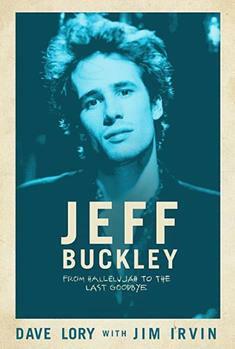 Behind the scenes with Dave Lory who documents the rise and fall of 90’s icon, singer-songwriter Jeff Buckley, in his new book, “Jeff Buckley – From Hallelujah to the Last Goodbye”. Mon, Mar 12, 8PM – LSR 4th Anniversary show!